And indeed none of those things happened at my cousin’s wedding. 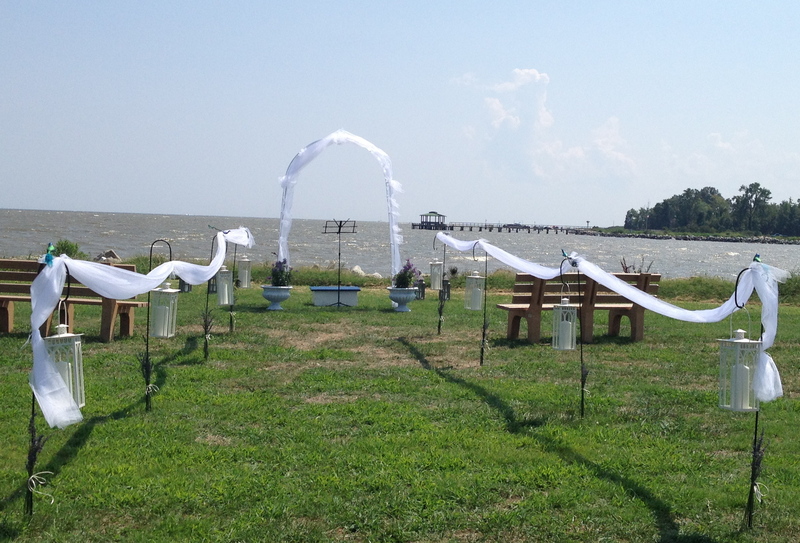 It was a beautiful day, even if it was in gale-force winds, and the wedding was charming and lovely. 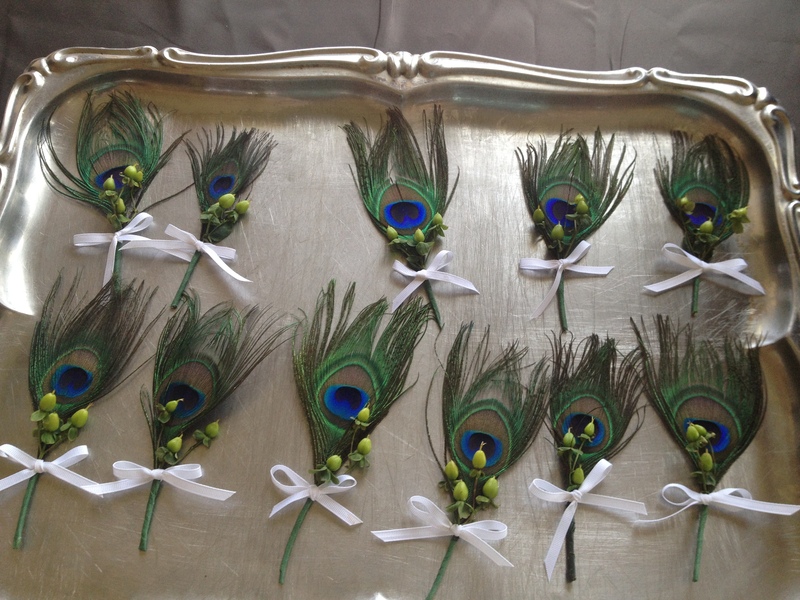 Fortunately, when you are marrying Mr. Peacock, it makes a wonderful theme for a wedding. Glass birds and peacocks scattered along the aisle. This was my favorite type of wedding. Truly an effort of love where everyone contributes and the outcome is unique and beautiful and a reflection of the people exchanging vows. There was nothing formulaic about this wedding. 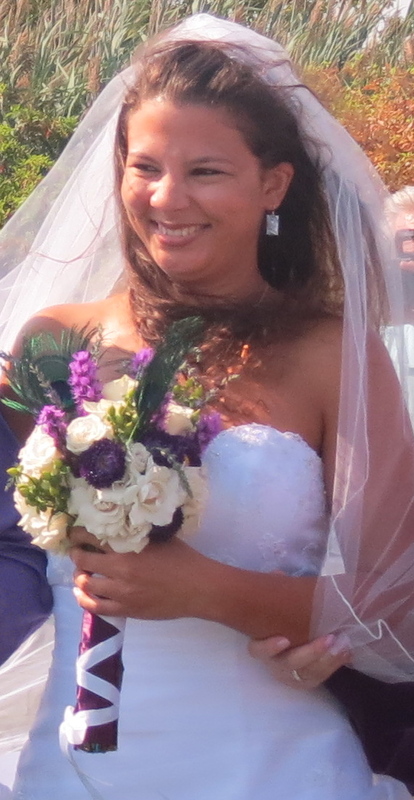 The Beautiful Bride and the bouquet. I was charged with music, decorating & flowers. 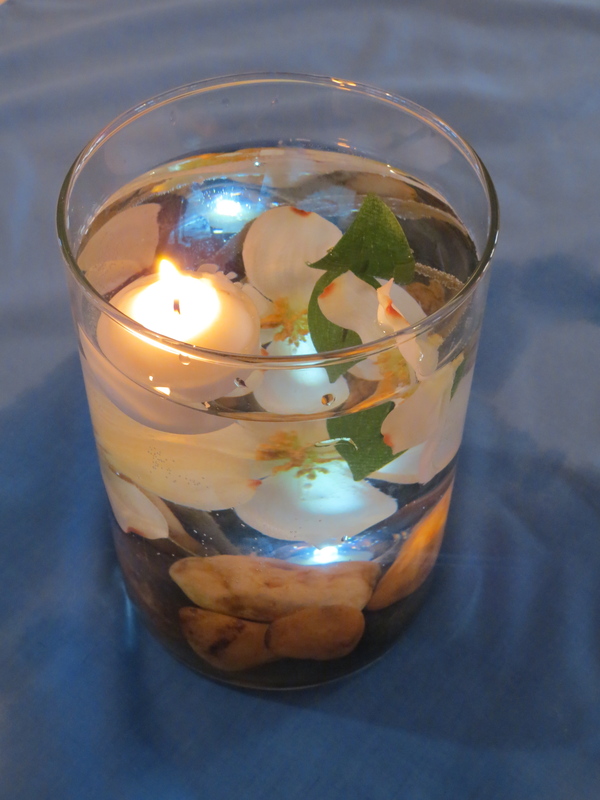 The result was a collaboration with the bride, who is extremely visual, and wanted things to look a certain way. The challenge was getting her to focus her ideas, preserve her creativity, stay within the budget, and still have a beautiful result. I am sure that we achieved this, together. 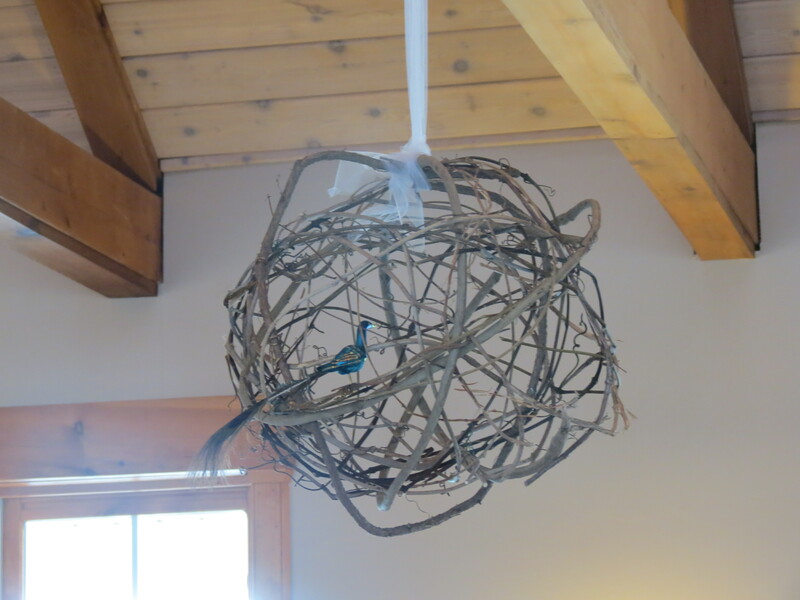 My mother-in-law braved countless chiggers, poison ivy, and wildlife to make the vine balls that hung in the center of the reception space. They were works of art and we were able to string them with white lights, replace a track light with a plug ($2.50 conversion kit from Home Depot) and hang them without any cords showing. 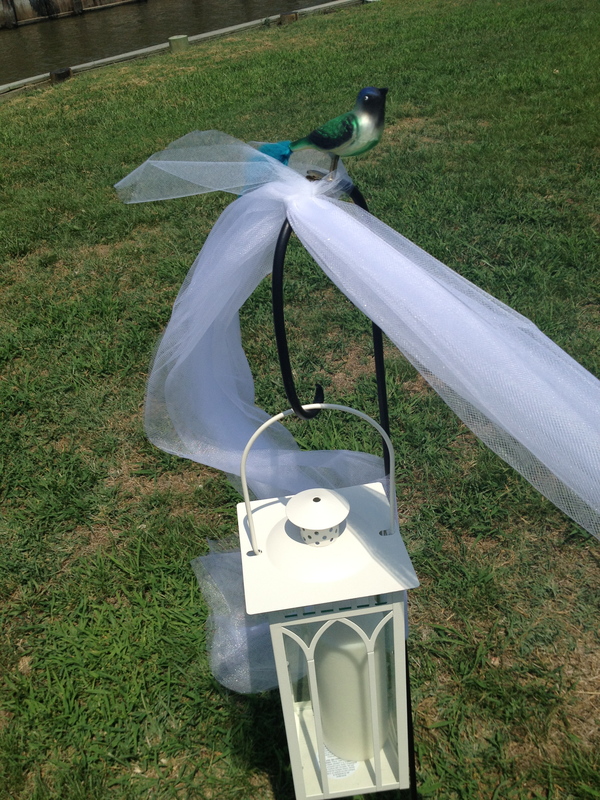 After the ceremony, we moved the little glass birds inside to perch in the vine balls. Vine ball, a labor of love. 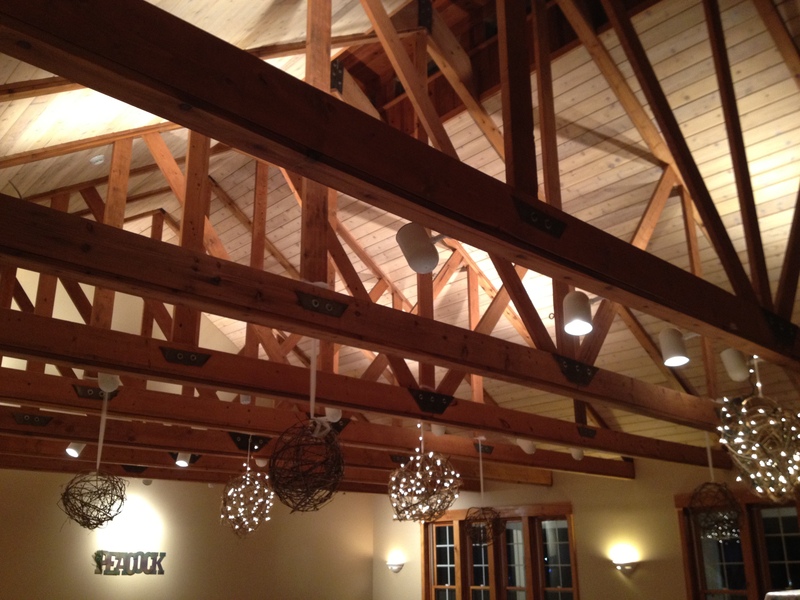 Vine balls hung from the ceiling. 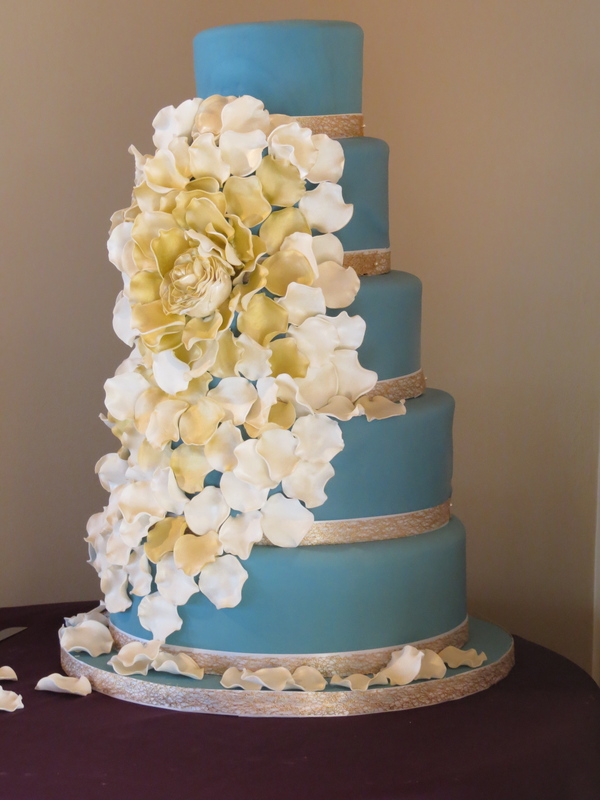 The bride works in a bakery and the cake was made by “The Fabulous Baker Boys” themselves. This bakery, Flavor Cupcakery, has proven time and again to be amazing and I cannot recommend them enough. As winners of the TV show “Cupcake Wars” whispers of “are those the guys from TV?” were all over the room. Me, being clueless as usual, when asked if he could eat anything because he was vegan, pointed to the cake I had made specifically for the vegans, and did not realize who I was talking to. Fortunately, my cake received good reviews. The preparation for this wedding was intense and involved so many friends and family. The outcome was truly special and I know we are all wishing Mr. and Mrs. Peacock the very best in their life and journey together.